Hello campers and friends and camping friends. 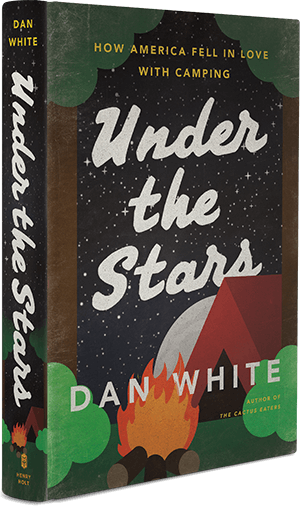 Just wanted to let you know that my publisher (Henry Holt) is going to go live tomorrow with an Under The Stars interactive page that will allow you to send in camping photos, photos of Under The Stars in far-flung locations (or near-flung locations), camping stories and other things. They’re calling it an Under The Stars “fan page” but I’m thinking of it as a camping page or virtual campground of sorts. Thank you again for your support, by the way; I really appreciate it. .
Friends, I’ve had plenty of readings before. Readings in dive bars. Readings in the middle of the woods, where all the audience members were dehydrated and lost. 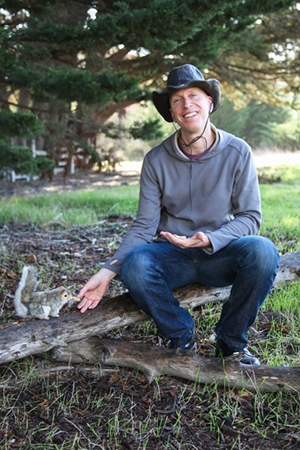 But this upcoming reading at the Booksmith — marking the centennial of the National Park Service –– will be like a virtual car camping experience. Because of fire regulations, I don’t think we’ll be able to build an actual bonfire at the Booksmith, a wonderful San Francisco bookstore, but there will be campfire stories, trail mix, and barley-malt drinks. Anyway, the fun will take place at July 12, 730 p.m. sharp. I will read from two sections of the book, which takes you through the wild and woolly history of American camping from the chilly heights of Whitney to the swamps of the Everglades. I will answer any questions you have, and we will hang out, and reflect on campouts past, present and future…. And this just in. I just found out that Under The Stars made Oprah’s Summer Reading List. Take a look at the current issue of the magazine and you will find it high up in a list of ‘books that make a difference.” The story was just posted on line and here it is.